It is my great pleasure to welcome to Ex Libris today a very recently discovered new romance author, whose debut novel, The Billionaire's Christmas Baby, enchanted me so much that it became one of my favourite reads of 2012 (read my review to see why)! So please give the warmest welcome to Victoria James and discover what a delightful and moving story her The Billionaire's Christmas Baby is! Stella: Hi Victoria, welcome to Ex Libris! :-) Congratulations on your first novel, it truly blew me away! I'm curious to know how you got the idea for The Billionaire's Christmas Baby, can you tell us a bit about the inspiration behind the story? Growing up in a North-American-Italian family, the holidays were always filled with an abundance of family, food, and drama. Cousins, grandparents, aunts, uncles, parents, would gather. The crowd was loud and the toasts with homemade wine were plenty. A few years ago, surrounded by my extended family, I started wondering about how much of whom I was today, was shaped by the people around me. I had always known the love of parents, grandparents, aunts, uncles, siblings, cousins. But what if I hadn’t? How would that have changed me? And that thought triggered the characters in THE BILLIONAIRE’S CHRISTMAS BABY. How would different people react to the holidays if they didn’t have a family? If they had no one? Would they build walls around themselves? Or would they be in a perpetual search for a soul-mate, for love? The hero and heroine that took shape in my mind became larger than life. Their pain, their need for acceptance and unconditional love tugged at my heartstrings until I was forced to find a way to create a happily-ever-after for the three of them! And of course, it would have to take place during the holidays! Stella: The Billionaire's Christmas Baby isn't what one could easily categorize as a light and fluff romance, it is a somwehat "darker", emotional romance: what was your reasoning behind choosing to include adoption, foster care, unhappy childhoods, drug addiction, suicide, etc. in a romance? Weren't you afraid it would turn too angsty? Victoria: Yes, LOL! I was afraid that it would turn too angsty-especially due to the length limitations of category. But I think humor has a way of finding people, even on dark days and I tried to inject my book with humor whenever the scene would allow it. My absolute favorite romances have always been those that deal with some of the darker issues that people face. I’ve always admired people that have been able to survive major life traumas. I like reading and writing about people that inspire me. And I’m in awe of them and humbled by them. I’ve learned from them. I think it takes such determination and character to be able to overcome what Hannah and Jackson had to face. Sadly, unhappy childhoods, drug addiction, suicide, abuse, is all-too common…yet there are so many people that not only survive but go on to achieve much success. I feel as though I’ve ‘met’ a little piece of each of my characters in people I’ve met and loved in my life. It’s sort of like rooting for the underdog. In ‘real’ life, I want the guy who came from nothing to become the millionaire….I want the girl who never had a home or a family find that perfect family, that perfect man. I think it would mean so much more for them, than say, someone who’d had a very ‘privileged’ life in comparison. I love romance for the guaranteed happily ever after. But I also love witnessing and writing the journey that it takes to get there. I think it’s comforting to know that a HEA can be possible for anyone-regardless of where the come from, or what has happened to them-as long as they’re willing to fight for it. Stella: And dear readers, having had the pleasure of having read The Billionaire's Christmas Baby I can reassure you that it is definitely not too dark, I LOVED it (read my review HERE), which is also why it became on my favourite reads of 2012! So grab your copy and let yourself be enchanted by Victoria James! 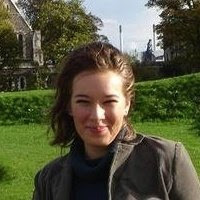 Victoria James is a romance writer living near Toronto, Canada. Victoria is a mother to two young children, and one very disorderly feline. Victoria attended Queen’s University in Kingston, Ontario and graduated with a degree in English Literature, where she met and then later married, her own hero. After Queen’s, Victoria earned a degree in Interior Design. After the birth of her first child she began pursuing her life-long passion of writing. 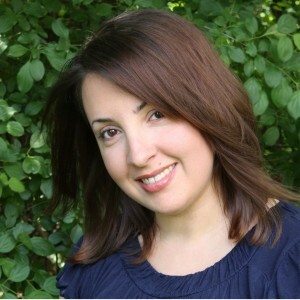 Her dream of being a published romance author was realized this February, 2012, when Entangled Publishing bought her manuscript A Family For Christmas. Victoria has three upcoming books that will be released by Entangled Publishing’s Indulgence line. Victoria is living her dream-staying home with her children and conjuring up happy endings for her characters. 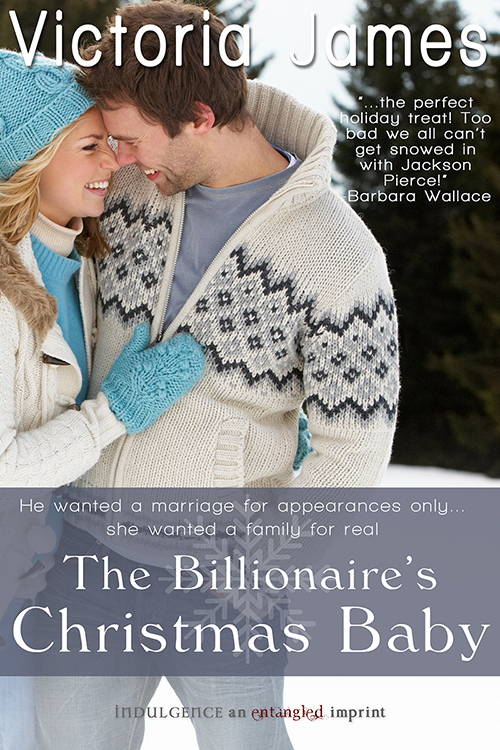 Entangled Publishing has generously offered an ebook copy of The Billionaire’s Christmas Baby by Victoria James to a lucky commenter! To be entered just leave a comment for Victoria or tell us: Do you like to read romances which have a bit more nuance and deal with less rose-y topics or do you prefer to keep it light and fluffy? Giveaway is open worldwide and ends on 11 January 2013! ps. for a second chance to win enter at Book Lovers Inc. before January 5th!